Currently, you can pay using Visa, MasterCard, Deal Credits, Cash On Delivery or Upon PickUp. More payment options will be available on Deal in the future. No need to have credit cards to buy online! Yes! You can place orders selecting COD as your payment option! Step 1: Buyer selects an item of choice from the enlisted items available for payment by Cash on Delivery. *Not all products offer COD payment facility. Step 2: You will need to enter your delivery Address. Step 3: Our delivery Team will call you for Confirmation, once the order is confirmed, they will notify you about the time of delivery and the assigned Courier Company. * Orders with wrong phone numbers will be deleted. 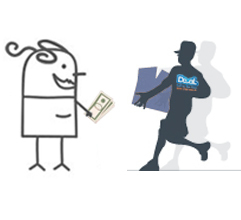 Step 5: Buyer receives the item and pays the transaction amount in Cash to the Courier Agent. *Any other form of payment i.e. DD or cheque will not be accepted by the Courier Agent. Step 6: The purchase is complete. *You'll have extra shipping charged a convenience fee for all COD transactions according the type of delivery Chosen. Pay in person by visiting Deal.com.lb office in Hamra, Caracas, Near Yacoubian Building. Shop with prepaid credits offers customers the ability to pay for purchases at Deal.com.lb using prepaid card. 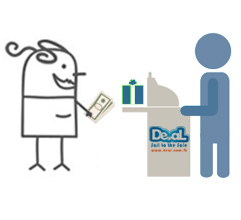 You can use prepaid credits to pay for an order at Deal.com.lb in the same way you would with any other payment method. If you want to use your prepaid credits to pay for part or all of your purchase, proceed to shopping cart and choose the amount you wish to apply for every item. It will be reduced from your account, you will immediately receive an email containing the voucher number. How do I get a new prepaid card? Once you pay, the amount will automatically be added to your account. You have enough credits, don't miss any deal! Step 1: Buyer selects an item of choice from the enlisted items available for payment by Credit Card. *Not all products offer e-payment. Step 2: You will need to choose collection mode of your products: pick up or delivery. Step 3: To ensure maximum security all Debit Card and Credit Card transactions are paid online using Trusted E-Payment gateway and NOT on Deal's website. 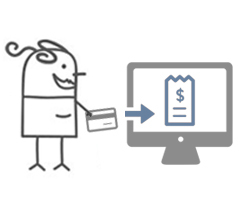 Step 4: Enter your card details into the form provided and click "pay" to complete your purchase. *Deal does NOT ever have access to, or store your Card details. 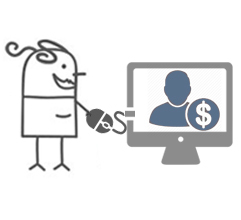 Step 5: Once your payment has been approved, your money will be held securely and then re-directed to deal. *You will immediately receive an email containing the voucher number.